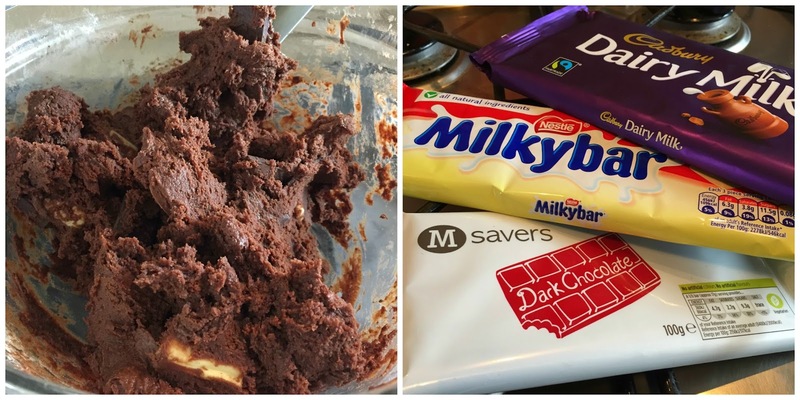 You may have seen this recipe doing the rounds recently as I know this has also been featured in Tanya Burr’s book (naughty naughty for nabbing the recipe there) and on one of Zoella’s latest vlogs, but I’ve followed the one on Vivianna Does Makeup’s blog. I decided to give these a bake myself after a friend told me she’d tried them and gave them rave reviews. I’m not a massive baker but I do love getting in the kitchen every now and again and whipping up a few goodies. In fact as I type Jordan has now jumped in behind me and is baking up some brownies! We’re having a bit of a weekend of it by the looks of it, as we didn’t get each other easter eggs (we were too late and they had all sold out) we decided to get baking. My cookies are still cooling but of course I’ve had a naughty nibble and they are delicious! Step 1: Slightly melt your unsalted butter in the microwave to soften it up and mix with the caster sugar so that it becomes smooth and creamy (kind of like my photo above). Add the egg and mix well. Step 2: Add the Flour and Cocoa Powder and fold in (no need for a sieve), you can add a splash of milk here and there if the mixture is too dry, but just make sure you don’t add too much! Then Breakup your chocolate into chunks and fold into the mixture. Step 3: Protect your baking trays! 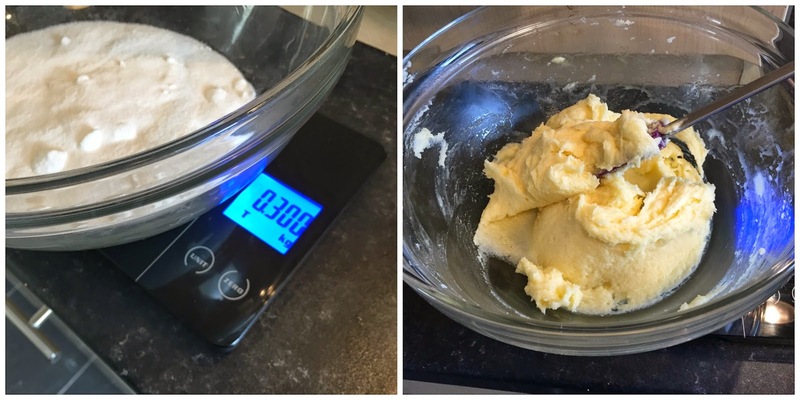 I use butter and flour for this as it greases the tray but ensures that your bake is easy to remove from the tray – I use this over grease-proof any day! 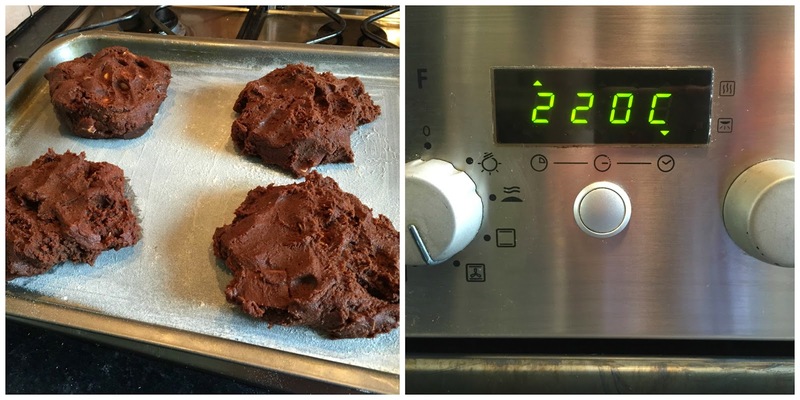 Then pop your cookies in (reasonable sized) balls onto the tray and in an oven that has been pre-heated to 220°C for 10 Minutes. I actually had to leave mine in for 15-20 because I accidentally made some beastly cookies! Then leave to cool for about 30 mins! The finished products! Some gorgeous Chunky Three-Chocolate cookies! Thanks Viviana, This recipe is delicious! Have you tried this recipe before? What did you think of it? Oh my days!!! These look a-mazing! !